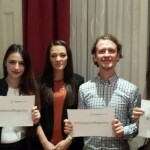 Swiss newspaper “Tages Anzeiger” interviewed three ethnic Albanian students, to prove how inaccurate are misconceptions over ethnic Albanians in Switzerland. Denise Marquard interviewed Burim Lusha, Vjosa Ismaili and Arbnora Aliu who study at the University of Zurich and the University of Applied Sciences in Zurich. 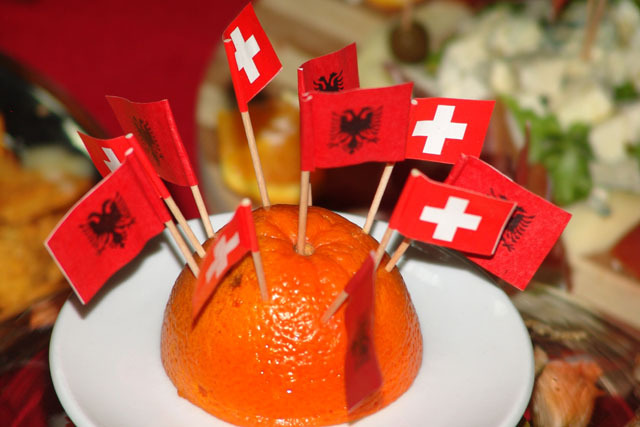 Does Switzerland make you feel more Albanian or Swiss? Lusha: I cannot fully answer this question. I am lucky to have been raised in both countries. There are ongoing discussions if the football players for the Swiss national team are “decent Swiss”. Lusha: People, in a wider sense, think that Albanians are skilled only in sports. But they don’t consider that there are many students and PhD candidates at Swiss Universities. Since there is no existing codex that defines the values that make a person a “decent Swiss”, this statement seems pointless to me. Albanians are only football players, bodyguards or people who practice martial art. Is that true? Ismaili: Unfortunately that’s how the majority of people perceive us. Since high school, I was continuously bullied by being asked: wait what, you are Albanian? There is this idea: if you are Albanian, you are not able to study. Aliu: I deal with this sort of situation even today at my University. Since I do not give much credit to these comments, I ironically answer back: I was forced to get married, so I study in secret. Then no one dares do discuss it further. The truth is that both my parents studied in ex-Yugoslavia, therefore it is understandable to study in my family. What’s the deal with Balkan machos? Do they exist or not? Ismaili: I do not read daily news, because they do not reflect the reality. Aliu: That what is written about Balkan machos, is still unknown for me, my relatives and my friends. We cannot allow our nation to be humiliated like this. If a teenager swears in his/her school in Prishtina, what would happen? Aliu: This would not end well. This is not how Albanians behave. This derives from gangsters and rap culture that we find on youtube, instagram and twitter. Lusha: When I read what a school mayor had said, that albanian kids are told that their mother is of no value, I questioned his seriousness. In Albanian culture women, and especially mothers, are given a big respect. There is the irresponsible driver from the Balkans, and then the Balkan macho. Is there a stereotype for people from Balkans? Aliu: It disgusts me when I see this generalization. Even the “yugo” notion is used for humiliating Balkan people. But Croatians, Serbs and Albanians altogether have conflicts between each other, right? Ismaili: Firstly, we honor each other as human beings. Ethnicity comes second. Aliu: We are all united by one fact, that we all are immigrants in Switzerland. Is there gender equality between Albanians? Ismaili: My dad does the housework, so gender inequality is not an issue in my family. Aliu: In my family, we are four women. Trust me, it’s not easy for my dad. Albanians are conservatory rural people and they suppress women’s rights, isn’t that so? Aliu: Take a ride to Skopje, Prishtina or Tirana. It’s ridiculous to say that Albanian women are oppressed. On the contrary, they are open and secure about themselves. So they do not wear burka or anything similar to it? The three of them: In Albanian territory, we do not know anyone who wears burka. Lusha: Speaking for myself, I have never experienced discrimination. Aliu: Back in high school, I had a teacher who barely gave me a B. When I asked her what was the reason about it, she answered: do your parents read the Neue Zurcher Zeitung? This was absurd. Later on I had another teacher, and I had excellent grades. 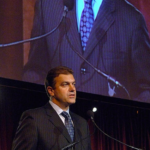 Ismaili: I was one of the few immigrants who succeeded to get into high school, and I think that if we had more support, many of other immigrants could have been attending it. Aliu: In my primary school, 80% of the kids in my class were immigrants. I was the only one who could get into high school. Every year, only two people can get through high school without attending extra courses. That is why today I teach extra courses to the kids from my neighborhood, so they can be better prepared. How important is islam for you? Aliu: In my family, religion is a very important part of everyday life. We practice islam in our manner. Ismaili: Religion is something personal. Lusha: As for me, religion is very important, not because of the tradition, but because of obedience. Based on Albanian history, I would say that Albania is less religious than Kosovo or Macedonia. There is a fact that there are no religious conflicts in Albanian society, since the religious diversity is present and embraced. Would you marry a Swiss? Aliu: My life partner is Albanian, I met him during my holidays. My dad always said to me that it is up to me to decide with who I want to spend my life with. But he clearly said that if I fall in love with a Swiss, I would have to deal with the education and religious issues myself. Lusha: For me, nationality is not important at all. How do you picture your future? Would you still live in Switzerland? Ismaili: I don’t know. It is a great priority that we have experienced the lives in both countries. Lusha: I will surely stay in Switzerland. We can learn so much from Italians. Today, they are integrated. I hope that Albanians will someday be part of Swiss Academia. There are many talents in different Swiss Universities. Aliu: I cannot say If I will be staying here or not. What I can say about the future is that there will be many opportunities for the next generations. Then, they will not be talking over us, but about us. * Arbnora Aliu (24) studies pedagogy, Vjosa Ismaili (23) economy, Burim Lusha (25) economy and engineering.